Tattoos of Chinese characters have long been a fad in the West as a way of denoting the mystique of their bearers. Zhang Aiping, a tattooist at Tattoo 108 in Shanghai, said: "Around 30 per cent to 40 per cent of our customers are choosing tattoos in English letters now. This has happened really suddenly, since the beginning of this year. "I just did one a few days ago for a footballer at Shanghai Shenhua club. It said: 'I miss u forever'." Tattoos have existed in China for thousands of years, but have been largely taboo under Communist Party rule. Only in the last five years have scores of tattoo parlours sprung up, operating in a grey zone of legality. Do Chinese people get tattoos in English? 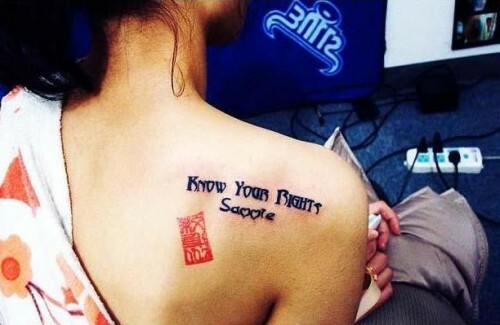 Do people in Asia get tattoos in english on them? Like we get chinese writing on us?